I went to WI last week to catch some trout. I did do that. But the pictures of the wildlife is what really captured my attention most of the time. 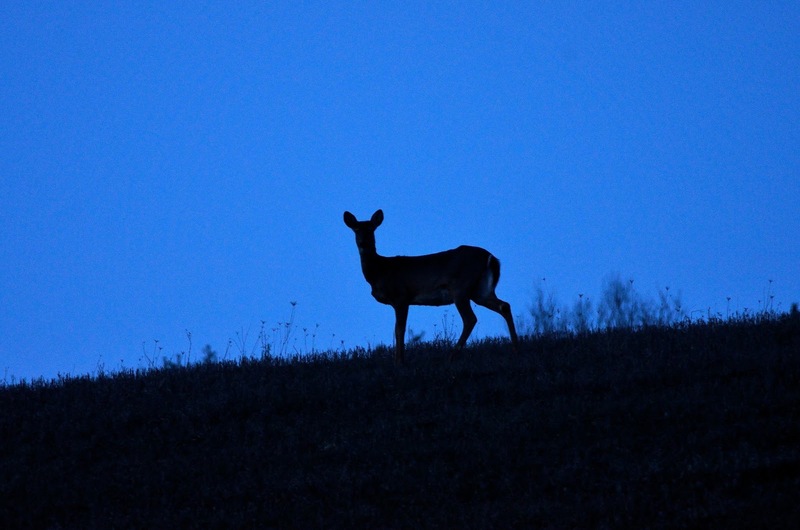 After coming out of a wonderful little pizza place - we spotted several deer on the ridge at twilight. Just a sweet moment.